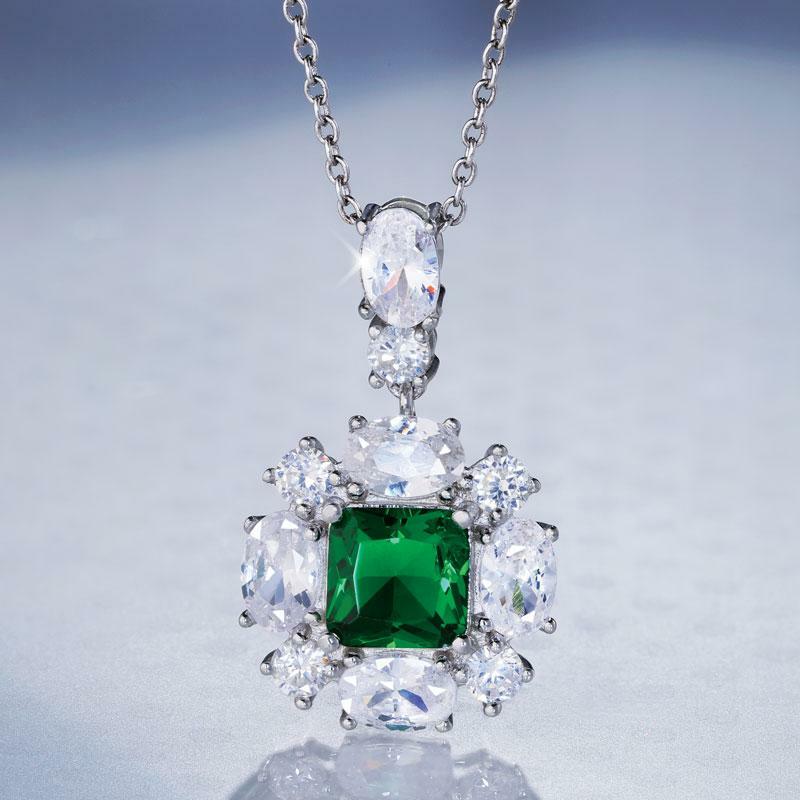 Delight your leading lady with the gorgeous look of emeralds and diamonds without breaking the bank. How? DiamondAura® stones are faultless and inclusion-free, enabling us to create pieces that radiate with vibrant color. The effect is a clear, flawless marvel that looks even better than and has more fire than mined diamonds and emeralds. DiamondAura retains every jeweler’s specification: color, clarity, cut, and carat weight. We surrounded gorgeous green cushion cut stones with sparkling white rounds and set everything in pure sterling silver.To get this many carats of mined stones in couture style pieces would cost millions. Thankfully, we’ve arranged for you to make a grand romantic gesture, with a “just because” price!